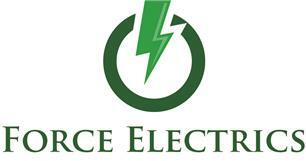 Force Electrics Limited - Electrician based in Birdham, West Sussex. Force Electrics Limited was founded by Mark Burriss in 2015. Mark has over 10 years practical electrical experience in domestic and commercial settings. Force Electrics will provide you competent and reliable service covering all your electrical need. We strive for excellence, doing our utmost to ensure satisfaction in all our work.